A mushroom walks into a bar. The bartender says “You'll need to leave...we don't serve mushrooms here.” The mushroom replies “Why not? I'm a fun guy!”. Courtesy one of my clients. Two atoms were walking down the street. One said, "Oh no, I think I've dropped an electron!" The other atom said, "Are you sure?" The first replied, "Yes, I'm positive." The good advice below is something of an inside joke. A co-worker's children were stuffing Ritz(R) Bits(R) into a monkey puppet they have. Well, it just struck me as funny about stuffing Ritz Bits into a monkey puppet. Sorry for any confusion...just wanted to share. 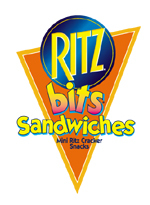 Keep Ritz(R) Bits(R) out of your Monkey Puppet. I'm "Lost"...You Should Be Too!